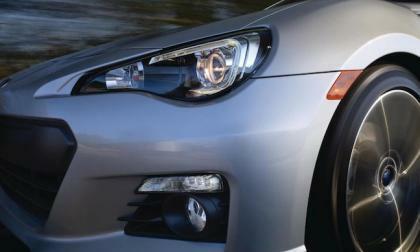 The all-new 2015 Subaru WRX/STI will gain new refinements that will broaden the appeal to include a new audience. 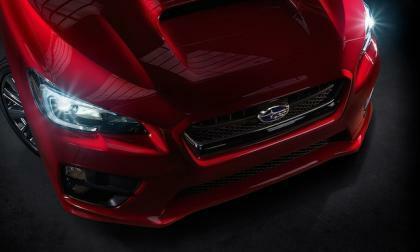 Will the next-gen WRX/STI be able to attract new performance blood? 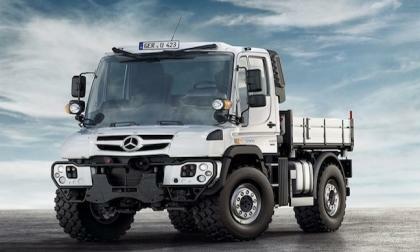 Mercedes-Benz has just released their new 2014 Unimog U 423 at the Agritechnica - the leading trade fair concerning everything to do with technology in agriculture. 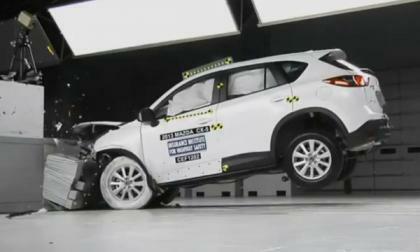 A Mazda dealership in Japan had an employee showing a customer how to operate the safety features of their CX-5 when the vehicle crashed into a fence, injuring both occupants. Not exactly what we'd call a safety demo! 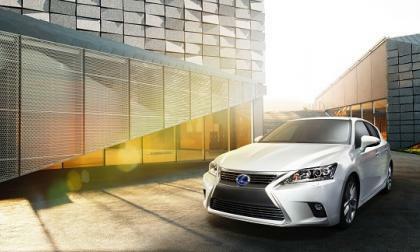 Lexus' low-volume near-luxury hybrid gets the new company uniform for 2014. Many might wonder why Lexus even bothers with the CT 200h, but there is a big reason the car makes sense. Contrary to recent reports, Subaru of America will continue to produce the Toyota Camry at the Indiana manufacturing facility. 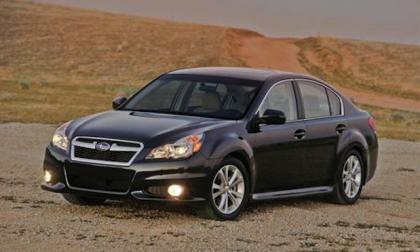 How does it help them with the 2014 Subaru Legacy sedan? 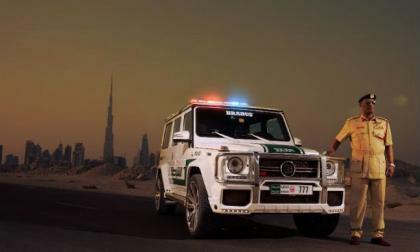 Brabus B63S 700 Widestar, a Mercedes-Benz G 63 AMG variant in Police livery, celebrates its world premiere at the Dubai International Motor Show 2013. In a surprising move, Hyundai's chief technology officer has resigned in the wake of increasing vehicle recalls around the globe, especially in the vital United States market where the brand in the last decade has developed a hard-earned reputation for quality that could slowly be slipping away. 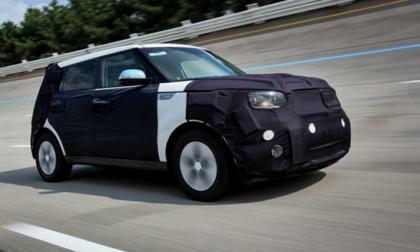 Well that didn't take long as the same day that Kia announces its new 2014 Kia Soul EV, a review is posted and it looks like it "has potential." While it still seems like the Soul EV is not ready for the U.S., it won't fail because of internal design but it might because of a glaring exterior design problem. 2015 Genesis Best Looking Hyundai Ever: A Wannabee? 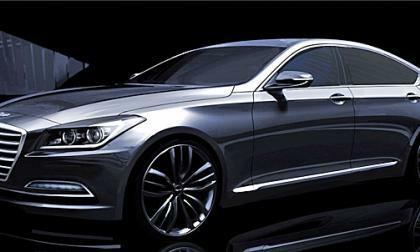 The South Korean unveil of the 2015 Hyundai Genesis shows it could be the best looking Hyundai ever to hit the U.S. market, but then again some might find it derivative based on spy shots unveiled and it could be termed a wannabee. 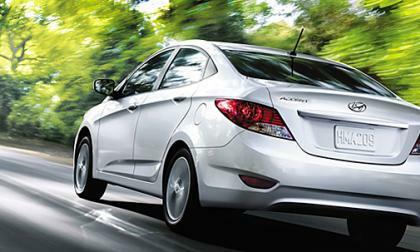 Read more about 2015 Genesis Best Looking Hyundai Ever: A Wannabee? 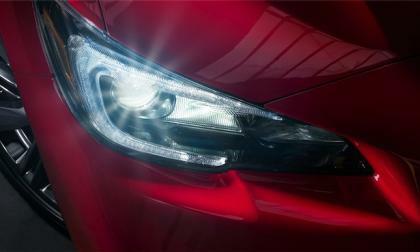 Subaru has released a teaser image of the new 2015 WRX just before the official reveal at the LA Auto Show on November 20. The World Rally Championship website has broken the news that Toyota will build a new version of the FR-S for rally racing. Good news, but will it have any more power? 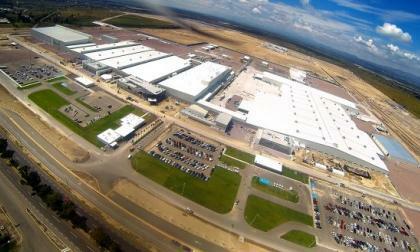 Volkswagen in America is danger-close to being irrelevant. 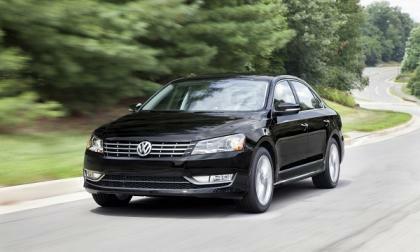 In an effort to help turn things around VW is moving to all turbo engines. 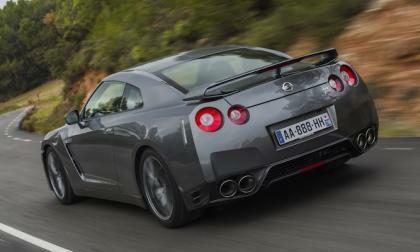 The bad news is the new engines are not even as fuel efficient or as powerful as the competitor's non-turbo engines are. 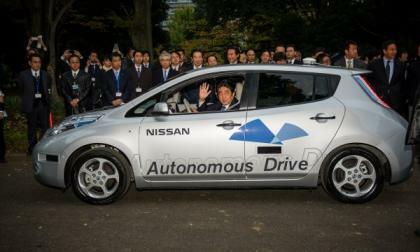 The Nissan LEAF outfitted with Autonomous Drive made its first public road test in Japan with the country's Prime Minister as its passenger. 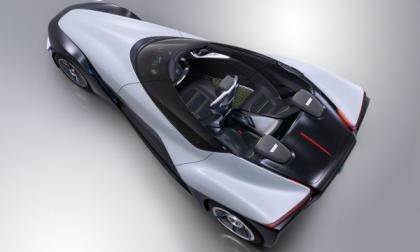 Obviously a big moment for the technology Nissan plans to roll out in just a few years. Watch video of the drive here. 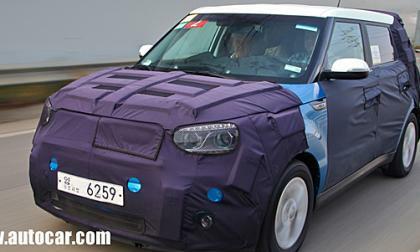 The Kia hamsters are going to be doing the Electric Slide in 2014, but the question is, does the Korean automaker need to join the electric vehicle bandwagon at this point with the 2014 Kia Soul EV? The short answer is no in my opinion. 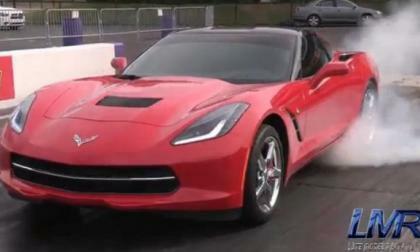 It seems like the 2014 Chevrolet Corvette Stingray just started shipping to dealerships around the country but there is already footage online of a C7 Stingray running a 9 second quarter mile – an incredible feat considering how little time tuning shops and drivers have had to work with the car since its debut. This morning brought about the long awaited debut of Ken Block’s Gymkhana Six and while this newest video features all of the amazing tire shredding, high adrenaline driving of the previous five Gymkhana videos – Gymkhana Six takes a more traditional approach with the help of a crane, a couple Lamborghini Aventador coupes, a couple segways and a whole bunch of shipping containers. 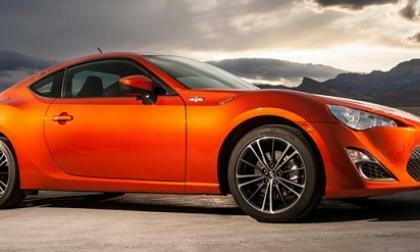 Northampton power train supplier Cosworth has announced the completion of the first part of its multi-stage power package for the 2013-2014 Subaru BRZ powertrain. 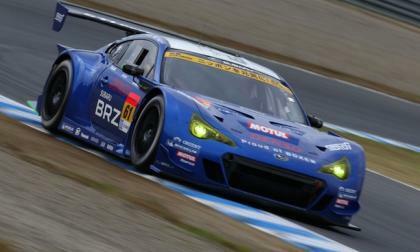 The 2013 Subaru BRZ GT300 just competed in the 2013 season of the SUPER GT series with a podium finish. They finished fourth overall. 2014 BMW M5 vs 2014 Mercedes E63 AMG who wins? 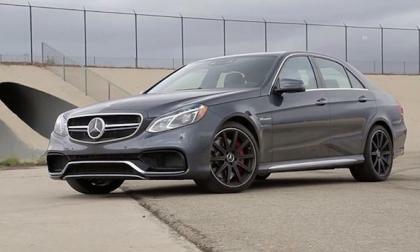 Motor Trend Magazine took the 2014 E63 AMG S-Model 4MATIC and 2014 BMW M5 Competition in a head-to-head competition. See who wins. Read more about 2014 BMW M5 vs 2014 Mercedes E63 AMG who wins? 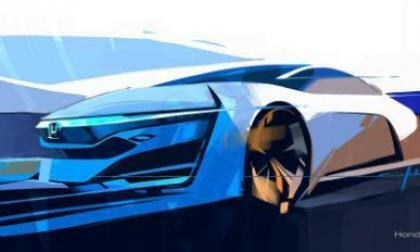 It has been confirmed that the next-generation Nissan GT-R, the R36, will feature a hybrid powertrain tuned for sport car use to maximize benefits. 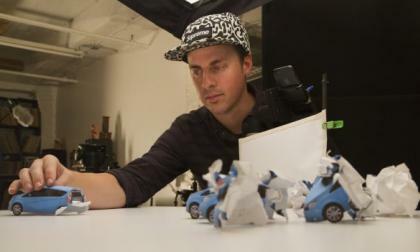 The video is just a few seconds long, but it was so well-made and painstakingly crafted that it became a winner in Nissan's Your Door to More video contest. Here's how it was done. 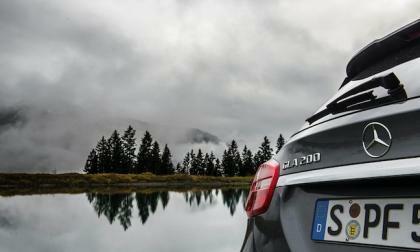 The all-new 2015 Mercedes-Benz GLA-Class has made the short list of What Car? 37th annual What Car? Car of the Year Awards. Why will it win? 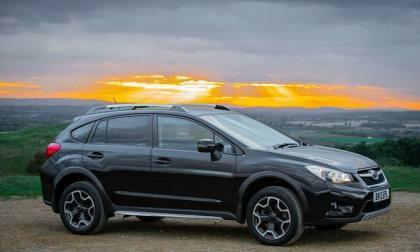 2014 Subaru XV Crosstrek and 2014 Impreza each earn a 2013 IIHS Top Safety Pick+ award joining the 2014 Forester, Legacy and Outback. 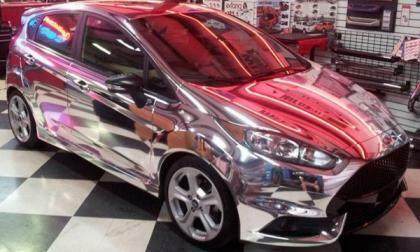 There is a small fleet of 2014 Ford Fiesta ST hatchbacks driving around America as part of the most recent chapter of the Fiesta Movement and in an effort to make his hot Ford hatch unmistakable – Fiesta Movement Agent Michael Berenis had his Fiesta ST wrapped in chrome vinyl. 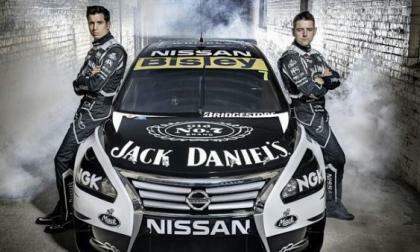 Nissan returned to the V8 Supercars racing scene in Australia in a big way, but now says it will have to write off the whole season as a loss due to a screwup in the aerodynamics tests for the Nissan Altima V8 racers. 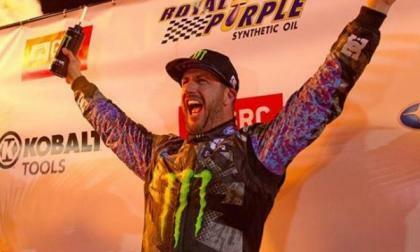 The Global RallyCross Supercars took to the track for the final race of the 2013 season last night and when the checkered flag dropped, Ken Block claimed his first ever GRC win in front of a massive Las Vegas crowd.